Description: The top of the Featherweight lineup are the 222 Freearm Convertible machines. And the most desirable 222's are the "Red S" models. Here's a 1960 Red S in beautiful condition. Beautiful paint and decals. The motor has been replaced with a 110V US motor. The plug connector on the machine and the wall plug have been changed to the standard US plug. No voltage converter needed! The carrying case is the original Singer case with the side accessory tray. 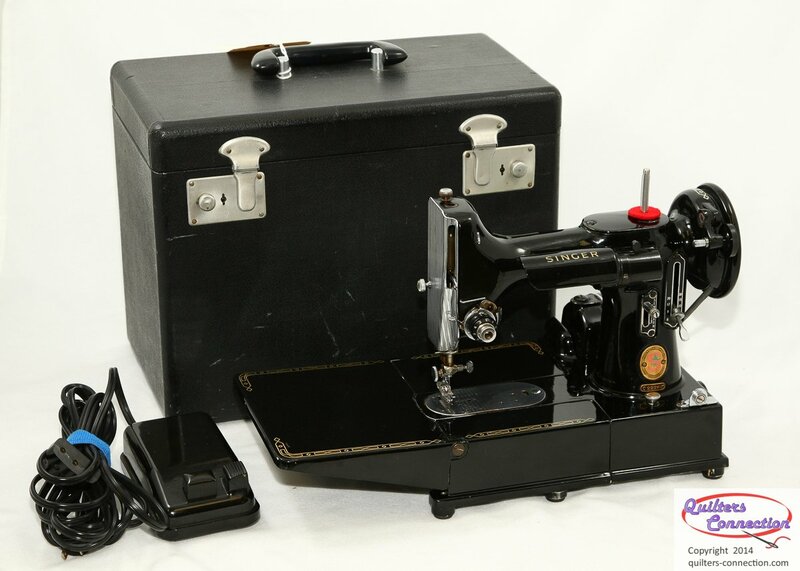 Included with the machine are the original Singer bobbin case, 5 bobbins, a box of accessories, a 222 manual, and a case key. The only thing that downgrades this machine is that the replacement motor has some paint wear on it as shown in the photos. If you are a collector and have your own motor to swap, this machine gets very near a 8+ condition rating. You will be the envy of your class or retreat with this Red S 222 Featherweight that has been serviced and is ready to sew.